Mohd Zain Idris had the greatest admiration for the village life, and he highly cherished it. He was known for depicting landscape of the seaside and fishermen villages, as seen in this piece. There’s something about the seaside that exudes a sense of serenity. The artist has brilliantly captured the beauty of the East Coast. All in all, this piece is filled with romanticism and brilliant execution. Mohd Zain was a self-taught artist. 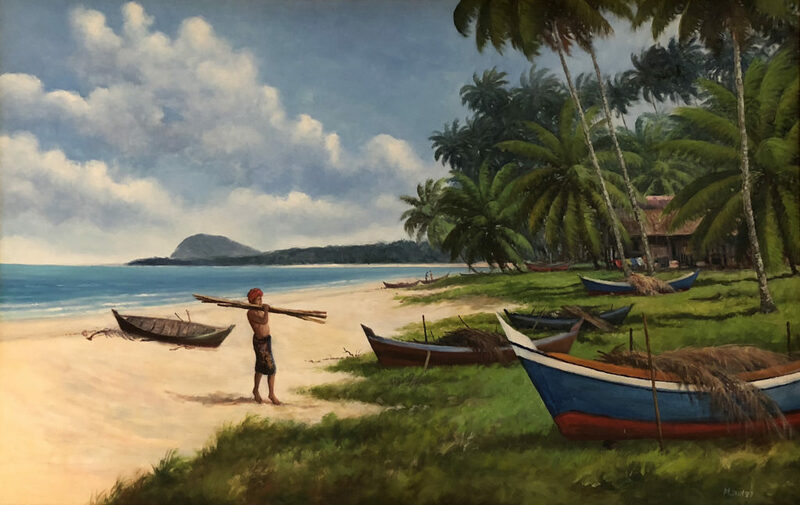 He first was touted the “Fisherman’s Artist” by Frank Sullivan when he had his first solo at the Samat Art Gallery in 1972.